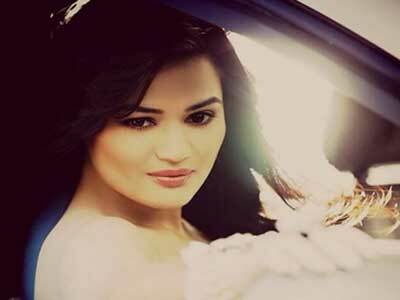 Renee Dhyani, the latest to be evicted from “Bigg Boss 8” house, says she should not have entered this season of the reality show. The former “Roadies” contestant says she lacked confidence and was depressed after she heard about her father’s heart attack. “The reason for my eviction was lack of entertainment from my side. I was unable to fulfil the requirements of the audience. “What I did before was pretty loud and upfront. I have heard from many that I was in the limelight in the first week, but all went wrong in the following weeks. Because of my father’s illness, I was unable to focus on the show,” she added. Like most of the contestants, who have been voted out, Renee too believes that Puneet Issar is the most fake person in the show. “Puneet is totally fake. He has never appreciated anybody inside the house apart from Gautam (Gulati). He thinks that he has a lot of respect for girls, but according to me, he is responsible for all the garbage inside the house. “As Puneet has a strong personality, so nobody wants to mess with him. I tried to stand up against him, but was unable to do anything,” she said. Renee, who became captain for a day, feels inmates were not in favour of her holding the post. “Nobody wanted me to be the captain. Everything inside the house is going against female contestants. During my captaincy, I thought of doing something, but things went wrong,” she added. Last week Ali Quli Mirza was allotted a different room as he was unwell. Talking about Ali’s situation, Renee said: ” It’s hard to say anything about him. I do respect him. But I feel, till the time he is inside the house, you cannot decide whether he is trustworthy. During her stint in the show, Renee enjoyed a good camaraderie with Upen Patel, Pritam Singh as well as former contestants Aarya Babbar, Nigaar Z. Khan and Shushant Divgikar. Hosted by Bollywood superstar Salman Khan, the show is now left with 10 contestants.